For as long as they can remember, Alyssa Baron and Sydney Stipanovich have watched NCAA tournament games, filled out brackets and gotten engrossed in the spirit of March Madness. Now, they get to be a part of it. Fresh off of a surprising Ivy League championship, Baron, Stipanovich and the rest of the Penn women’s basketball team will open play in the NCAA tournament with a first-round game against Texas at the Comcast Center in College Park, Maryland on Sunday (3 p.m., ESPN). In the past week-and-a-half alone, the Quakers have already made a lifetime worth of memories. 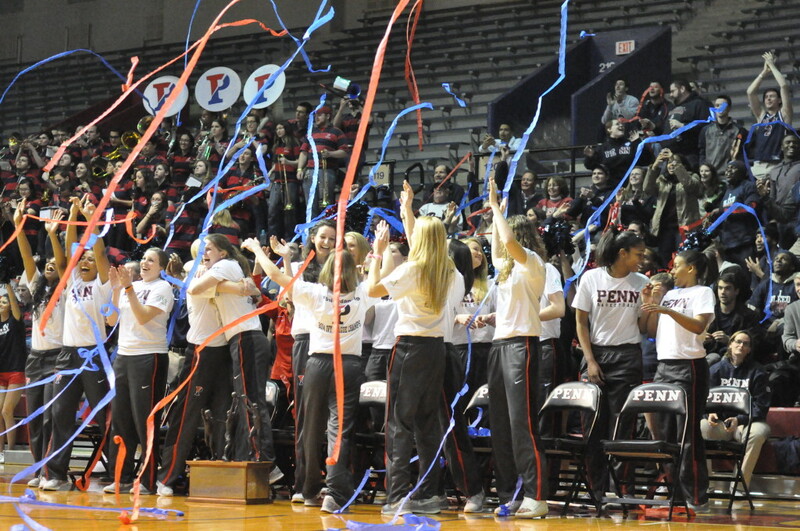 Completing a remarkable turnaround from a 2-26 team in 2009-10 – McLaughlin’s first year in charge – Penn dethroned four-time defending Ivy champion Princeton, a team it hadn’t beaten in six years, to win the Ivy title last Tuesday. Then, they spent the next few days celebrating with their families, fans and fellow Penn students, culminating with Monday’s Selection Show watch party at the Palestra when the Quakers learned on live TV that they had drawn the 12 seed in the Louisville regional and a date with fifth-seeded Texas. Even now, with the game rapidly approaching, the players still can hardly contain their excitement. Whereas in the Quakers’ previous two NCAA trips, they were seeded 15th and faced brutally tough road matchups against Texas Tech (2001) and perennial powerhouse UConn (2004), this time they face a less daunting opponent at a neutral site that’s close to home. Still, if the Quakers can knock off a Texas program that’s been to the NCAA tournament 28 times before, it would certainly be a big upset. Luckily, the Quakers have already proven they know how to pull off upsets – as Princeton can attest. And, after welcoming undefeated Notre Dame to the Palestra earlier this season, they also know what it takes to step on the same court as nationally renowned programs. They key now is just to make sure they can manage their excitement and not be intimidated by the big stage.